Unexpectedly high heat deterioration and bending stress can cause the power steering feed hose to crack, resulting in a leak. A leak from the feed hose can drip P/S fluid onto drivetrain components and the catalytic converter below, causing a burning odor and possibly smoke. The low fluid level resulting from the leak may also cause the power steering pump to whine. All owners of affected vehicles will be sent a notification of this campaign the week of December 17, 2007. Some vehicles affected by this campaign may be in your new vehicle inventory. According to federal law, these vehicles cannot be sold or leased until they are repaired. To see if a vehicle is affected by this campaign, do a VIN status inquiry before selling it. In addition, check for a punch mark above the fifth character of the engine compartment VIN. A punch mark in that location means the power steering feed hose kit was already installed at the port, and the vehicle is ready to be sold or leased. Install a power steering feed hose kit. Click here for a complete PDF on the issue. 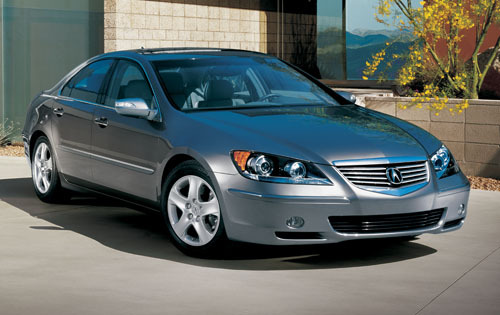 Although, it's not a full on recall, there has been some reported problems with the 2004 Acura TL having a power steering problem. The symptom is the vehicle makes a horrible noise during cold starts. My cousin had to take his almost out of warranty 2004 Acura TL automatic in to the dealer so they can replace the power steering pump (under warranty). Someone on the Acurazine.com forum noted to make sure that the power steering hose also gets replaced when having this service done. [UPDATE] This Acura TL issue is now officially a technical service bulletin (TSB).